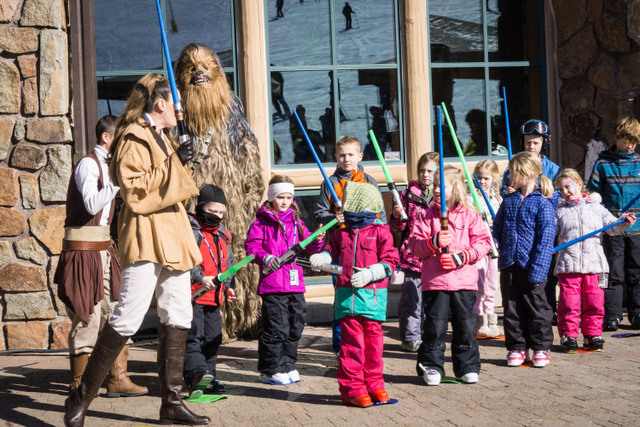 It was another fun filled weekend up at Snowbasin Resort for the inaugural Winter Carnival! 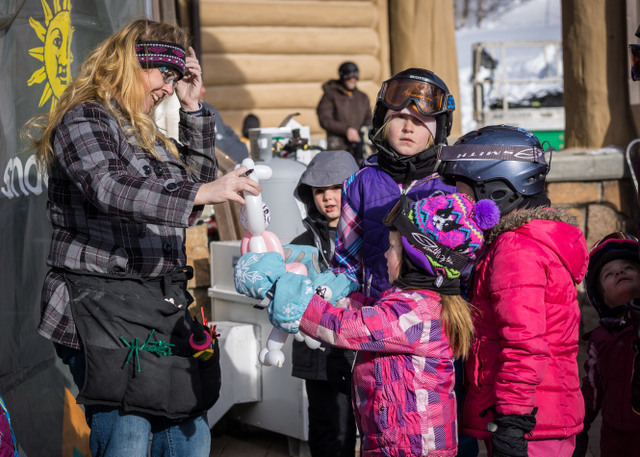 Bluebird skies, endless corduroy and a crowd full of smiles met our family as we arrived at the mountain. Indeed, the record breaking storms that have swept over the Wasatch range during the last 4-6 weeks left all of us ready to greet a sunny day. With over 150 inches of snow in this month alone, it seemed an ample time to celebrate! And so we did! Both on the snow and off. The day began with an on-mountain scavenger hunt. Prizes were scattered around the mountain at key locations offering guest a way to win big! Clues were shared via the Snowbasin social media channels. 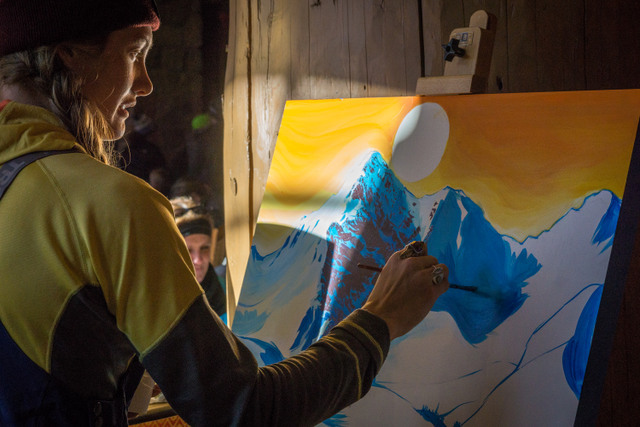 Base-Area festivities included a safety booth and autographs with the Australian Aerialist Ski Team by the Needles Gondola. 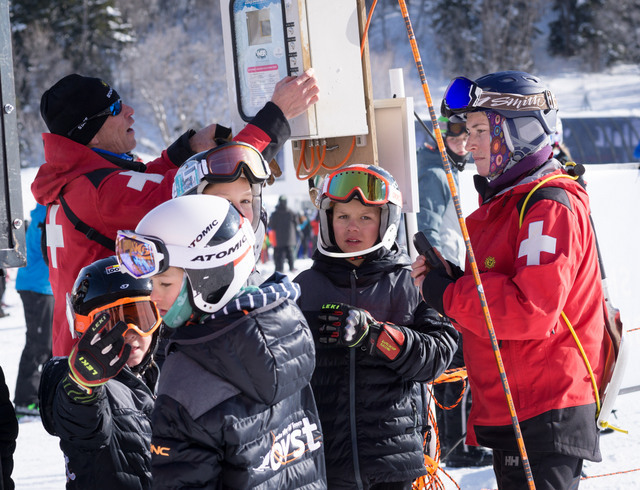 Ski patrol was out in force, teaching skiers and riders about avalanche safety and the basics of how to perform a beacon search and rescue. 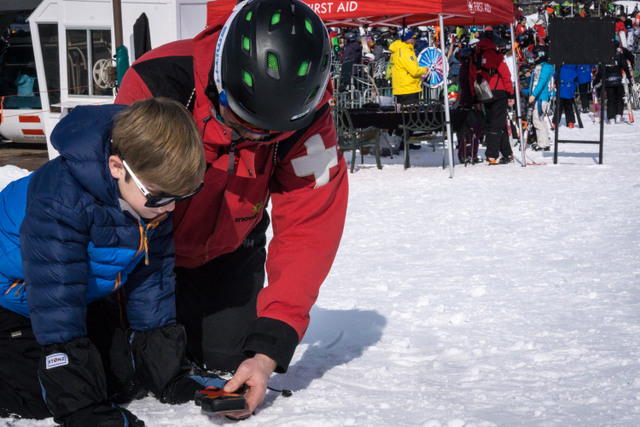 It was particularly fun exposing our kids to backcountry gear, teaching them how a beacon works and letting them find the buried beacons. 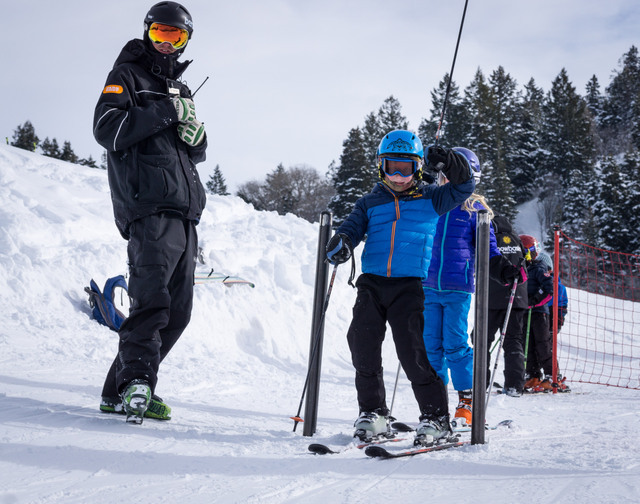 Thanks ski patrol for all you do! 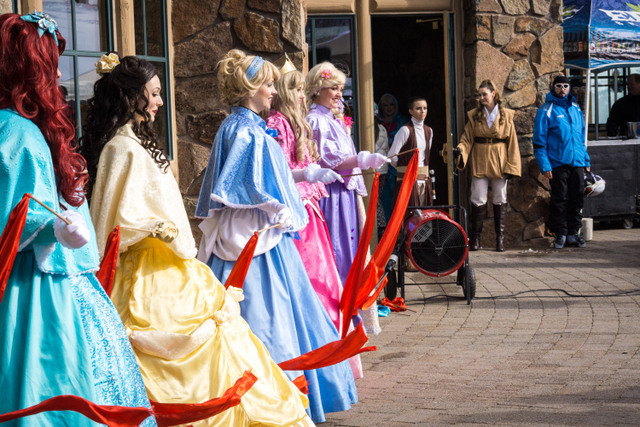 Around lunchtime the Princess and Star Wars shows began on Earl’s Patio and repeated every hour. 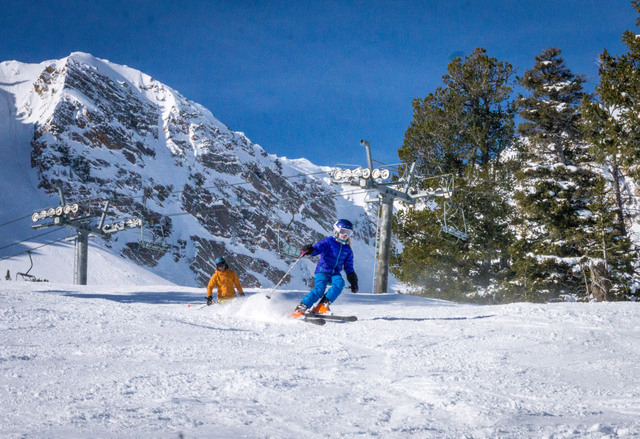 For years, Snowbasin Resort has worked hard to include the 12 and under segment of the ski population. 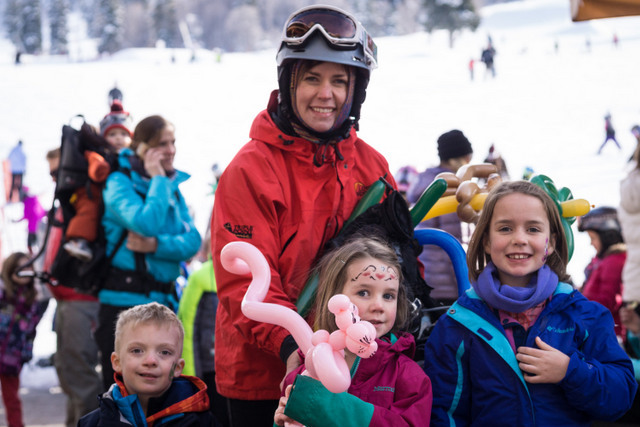 The numerous activities for children made this a true mountain carnival! My favorite part was watching my kids compete in the youth skier cross race on the Little Cat run! 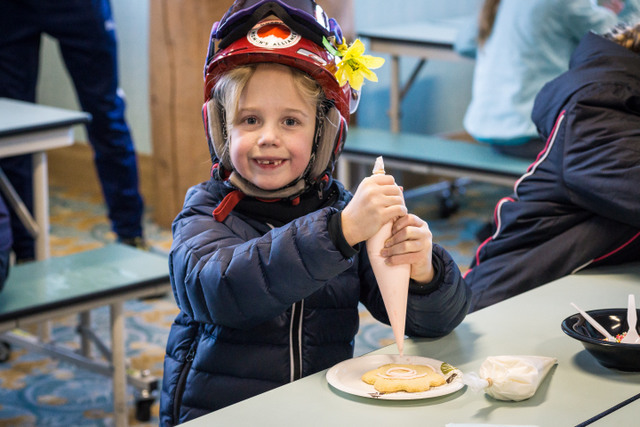 After a day of skiing we returned to the base to enjoy the face painting, balloon maker, and free cookie decorating. There was plenty to do, including skiing on the Little Cat run until 6:30, the first time I’ve seen night skiing offered at Snowbasin! The Handy family took full advantage of all the fun outside Earl's lodge! 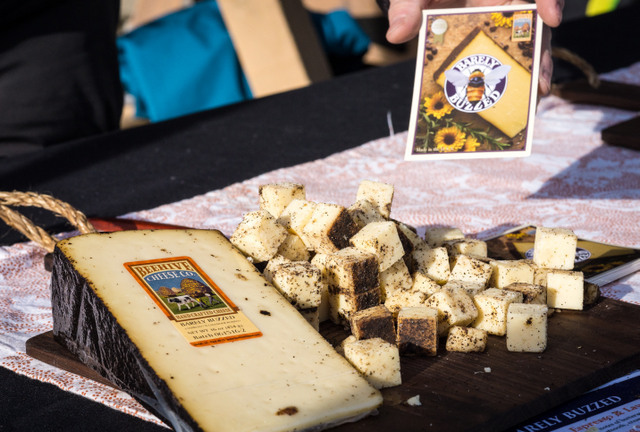 For the adults, Monster, Daily Rise Coffee, Epic Brewing and Beehive Cheese joined the festivities with free samples and products. The evening finished up with free s'mores, hot cocoa and a glorious firework display on the patio! With our hands full of balloons and cookies and our spirits filled from a day of celebrations, we all returned home for the night. Now for more of those storms to roll through, right?! Happy powder skiing friends!